One night last week Jeff came home from work and handed me a bag from his clinic. I thought, "Yes! More free anti-wrinkle cream!" (Having a dermatologist as a husband does have its advantages). When I peeked inside the bag, however, I discovered something even better than antioxidant cream: a dozen plump, brilliant green figs that were beginning to split from ripeness. "Wow! Where did you get the fresh figs?" I asked. "Adel gave them to me from the tree in her yard," he said. Adel, who works with Jeff, told him, "Last year my tree produced three figs. One for me, one for my husband, and one for the birds." Fortunately she's having a bumper crop this season, and we're two of the lucky beneficiaries. 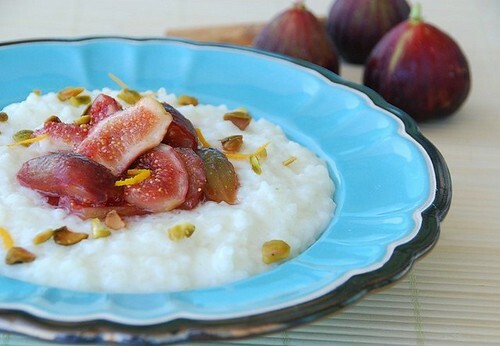 To celebrate fall's arrival, I'm sharing a recipe for Dessert Risotto with Wine Poached Figs. Arborio rice, which is used to make risotto, makes the most luxurious rice pudding imaginable: it's plump, tender, and creamy. Topping it with perfumed, wine-poached figs adds elegance and sweetness, resulting in a remarkably velvety, rich pudding. Just don't wait too long to try this recipe because, sadly, fresh fig season will be over soon. Though my inclination is to lament their passing, I've decided to be more practical this year. I've turned my attention to fall's upcoming stars: persimmons and Medjool dates. I already feel better. In a medium sauce pan, add wine, sugar, vanilla bean, cinnamon stick, cloves, and orange peel, and bring to a boil. Reduce and simmer for 20 minutes, or until the sauce becomes slightly syrupy. Removes the stems from the figs and cut into quarters. Add to the wine and simmer for 10 minutes, or until tender, but not mushy. Remove from heat and set aside. Add rice, water, milk, and sugar to a medium, shallow, heavy-bottomed saucepan, stir well, and bring to a boil. Lower heat to a simmer, letting the rice bubble gently for 35-45 minutes, stirring occasionally. When done, the rice will be plump, and the pudding will be thick and creamy. Give it a taste--the rice should be fully cooked yet maintain a slight firmness. Allow to cool slightly before placing in individual serving dishes. Top with a spoonful of poached figs and drizzle the sauce over the pudding. Garnish with chopped pistachios and orange zest curls. Pudding can be served warm or at room temperature. "Taking The Risk Out Of Risotto " which is my latest piece for NPR's Kitchen Window. It includes recipes for: Autumn Risotto with Apples, Pancetta and Sage, Risotto with Broccoli Rabe and Sun-Dried Tomatoes, and Pumpkin Pie Risotto with Candied Pecans and Fresh Whipped Cream (pictured above). 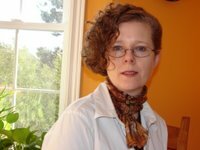 "Fresh Figs, A Taste of the Divine," an article I wrote for Foodie View, which includes over a dozen amazing sweet and savory fresh fig recipes. 2. If you’re not into the recipe thing, simply post this entire text box in a post on your blog to help spread the word about the event and Ovarian Cancer Awareness Month. 3. 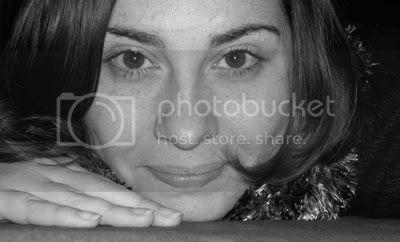 Then send your post url [along with a photo (100 x 100) if you've made a recipe] to ofoods[at]gmail[dot]com by 11:59 pm (Italy time) on September 30, 2008. We will post a roundup and announce prize winners on October 3. 1 Awareness Prize for only publicizing event: Copy of Dolce Italiano cookbook. The American Cancer Society estimates that 21,650 women will be diagnosed with ovarian cancer in the U.S. in 2008 and about 15,520 women will die from the disease. The symptoms of ovarian cancer are often vague and subtle, making it difficult to diagnose. There is no effective screening test for ovarian cancer but there are tests which can detect ovarian cancer when patients are at high risk or have early symptoms. In spite of this patients are usually diagnosed in advanced stages and only 45% survive longer than five years. Only 19% of cases are caught before the cancer has spread beyond the ovary to the pelvic region. and help spread the word! I'm so envious. I would love a fig tree in my backyard, and a lemon tree too. this looks delicious! i love sweet risotto! congrats on the cool npr article, too! Fresh figs are, hands down, my favorite fruit. And to think I only discovered them a couple of years ago. This risotto is almost more like rice pudding, with milk as part of the liquid? How lovely to pair it with the figs! I love risotto. This is very clever Susan. Marvelous! Fresh figs are delicious! A great combination! That pumpkin pie risotto looks outstanding I have to say, as well as the fig one! Perfection! I love figs, I love risotto, but I haven't gotten into sweet risotto yet...I think I need to remedy that! Mmmmmm Susan! Figs are my favourite! No anti wrinkle creams can fight them... my choice would be figs, always! This us a delicious recipe ending in "O" for this event. A beautiful dish!! Figs are my favorite fruit. Your dessert sounds delicious! The weather here has been perfect for treats like this sweet risotto, Susan - I would have it hot, like my mom used to serve me rice pudding. YUM! Oh my healthy heart! What a wonderful taste treat this must be. I haven't found any fresh figs this year, I'm looking thought. 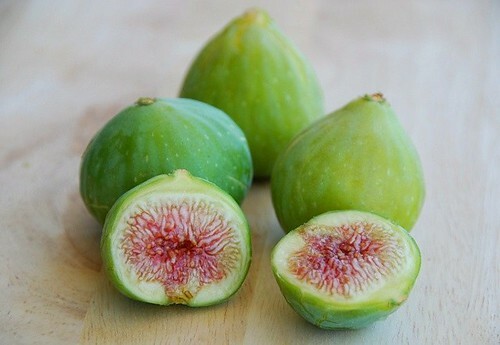 those figs look amazing and deliciously plump. What a fine way to use it in a dessert risotto! I've never had a dessert risotto but I bet I'd love it. Fresh fig season just ended here --or at least my personal fig season which is based on a fig tree in the yard of one of my officemates -- so I am bookmarking this for next September. 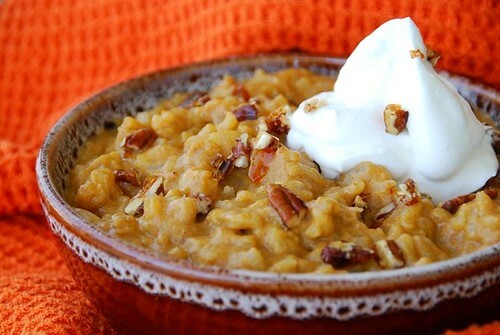 But in the meantime I'll have to try a different dessert risotto -- maybe the pumpkin pie risotto. I love figs. I usually roast them and drizzle with balsamic reduction, serve with goat cheese and dressed baby greens. Nice work with the O-foods, I am trying to think of a recipe! Lucky you Susan having all those anti wrinkle creams. Your risotto sounds delicious and I can imagine those poached figs. Yummy! love the combo of figs with rice in milk! great pic. those muffins are so tempting. Oh! These photos are so beautiful! Not only do they look delicious but they bring back so many memories: when I was growing up there was a fig tree in our backyard, and I loved nothing more than climbing into it's branches and snacking on these succulent fruits. Sigh, those were the days! This is different for dessert and it looks so yummy. I love figs. Too bad they are hard to find around here. Another fresh and mouthwatering recipe from you! I love figs, love rice pudding, never thought to marry the two. Mmmm...rice pudding and figs...two of the best things ever. Love it! I have never made a sweet risotto! This one looks awesome!! You have no idea how much I wish I had some of this right now! I have to say, you always make the most interesting recipes... this one is no exception, it is calling me! Your risotto with the figs look delicious and I'm sure they taste like they look. You make life difficult by posting TWO tempting desserts in one post...and my self discipline has just about disappeared along with the last days of summer! This is a beautiful risotto! I made a savory risotto recently. Thanks for teaching us that risotto can be made for dessert too! How delicious! And how wonderful to have a friend who not only grows figs, but is happy to share them. looks yummy and creamy. i love it with fresh figs. great combination with nuts as well. great work, susan! Both of these risotto's look wonderful! I love the addition of sweetness and crunch! Looks amazing. I made a similar risotto using strawberries and it was delicious. Who knew risottos could be desserts? It's not like me to miss a fig post ;) This one looks fab! you know... i still need to try fresh figs! and a dessert risotto. both this and your pumpkin pie risotto look amazing! Gorgeous dessert Susan...it's wonderful. Jef sounds like Santa...what fun!! Way to go Dermadoc!!! Dessert risotto - an adult way of having some comforting rice pudding. The green figs at the top look very pretty with the contrast against the pinky-purple flesh. This sounds excellent! It's funny because the first food related blog that I read tonight is about risotto right after I posted tips about making risotto earlier today. I think risotto and polenta are two of my favorite dishes because they both allow you to build creative recipes which change the entire profile of the dish. Dessert risotto - what a cool idea! And with figs involved - even better! This dessert looks wonderful, Susan. lydia-It is like rice pudding, but thicker and creamier. dks-Oh, you are so lucky to have a tree heavy with figs. Thanks for visiting! veropn-Thanks for the kind words. elly-Wow! You made my day! gffg-That's ok. Tweak away! Let me know how it turns out! julie-Oh, I love the pumpkin pie risotto too. I don't think you'll be disappointed. 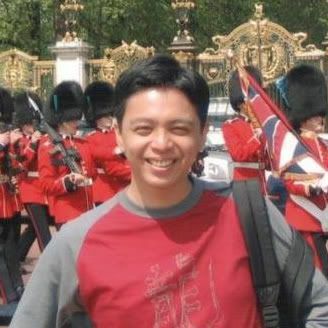 expatchef-I love them like that too. joanna-Yay! Glad to hear it. ari-Those were the days, indeed. pofp-You'll really love this then! ronell-I know what you mean! cmoore-It's just like rice pudding but better! cris-I hope this gives you some inspiration! jude-That sounds light and lovely. jaime-I hope you try them both! 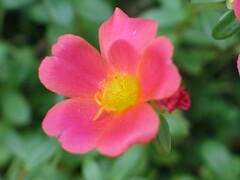 annemarie-Thank you so much. I enjoyed photographing them. justin-I agree. And I too am a big fan of polenta. Thanks for the comment.